Check out the fashionable, yet comfortable pieces from the LC Lauren Conrad Collection for Kohl's Cares! The new line offers chic apparel and accessories, including tees, scarves and slippers. All items are only $5 and $10 each, with 100 percent of the net profit donated to the fight against breast cancer! GREAT FASHION for a GREAT CAUSE! What more can a gal ask for?! 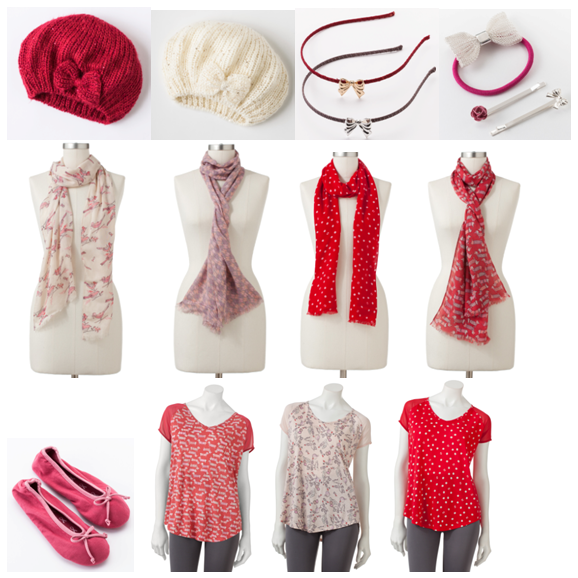 All of the super cute item's from this [ Über-affordable ] line would make perfect gifts this holiday season! Gift something great this Holiday season, while doing something good ! The collection is available now through February 3 at Kohl’s 40 Wisconsin stores and online at www.Kohls.com. Kohl’s also supports the fight against breast cancer with a commitment of $7 million over three years to the American Cancer Society’s Midwest Division and the Southeast Wisconsin Affiliate of Susan G. Komen for the Cure® to support breast cancer research, education and patient-assistance programs. For more information on the Kohl’s Cares Breast Cancer Cause Merchandise program, visit http://www.kohls.com/kohlsStore/landingpages/kohlscares/womenscausemerchandise.jsp.